There is a broad range of metal balustrade posts available in the market, ranging from stainless steel in 304 and 316 grades to aluminium and powder coated steel. Here are a few reasons why you should consider balustrade posts from Miami Stainless for your project. Extra strong base plates give more stability and strength to the posts while the level adjusting grub screws allow for easy installation. The saddles in Miami Stainless’ balustrade posts are welded in-house, arriving at the site in a ready-to-install form without weld joins. Each balustrade post is drilled individually so that hole spacing can be created to suit design needs. Every hole drilled in the post has nut rivets pre-installed to allow for up to 10mm of thread. This ensures extra strength, preventing pull-outs during tensioning. 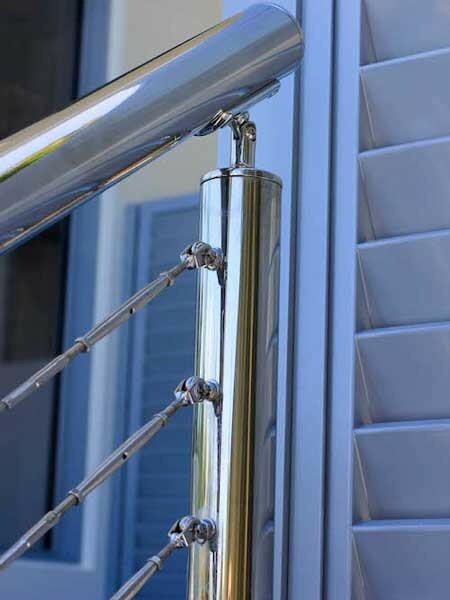 Key design features of Miami Stainless’ balustrade posts include tapered saddle connectors preventing water pooling and the consequent staining; 316 grade stainless steel construction; and mirror or satin finishes. In addition to superior quality stainless steel posts, Miami Stainless also offers a free online post quote calculator. You choose your post style, hole requirements, saddles, finish and quantities and the calculator will provide you with an instant quote.